Little cuzzy Jayda is a bundle of natural talents, at the tender age of 12 she’s written her first song ‘Polynesian Ladies’ with a friend at school during break time. She credits Beyonce as one of her favourite recording artists. A keen advocate for all things Parnell – she recommends Little Espresso Room on Parnell Rd for their salmon bagels, and for special occasions Eight at the Langham. I’m going to be 13 in september. That makes me a virgo. I go to Parnell District Intermediate. My best friends are Mele she’s Tongan (I hang out with all the fobs!) Ashley she’s Nieuan and Hunter she’s Samoan/ Niuean. Hunter and Ashley are cousins. There’s Edwina she’s Fijian, and Jasmine she’s Italian. I just wrote my first song, but it wasn’t just me, it was with my friend Mele. We wrote it together. 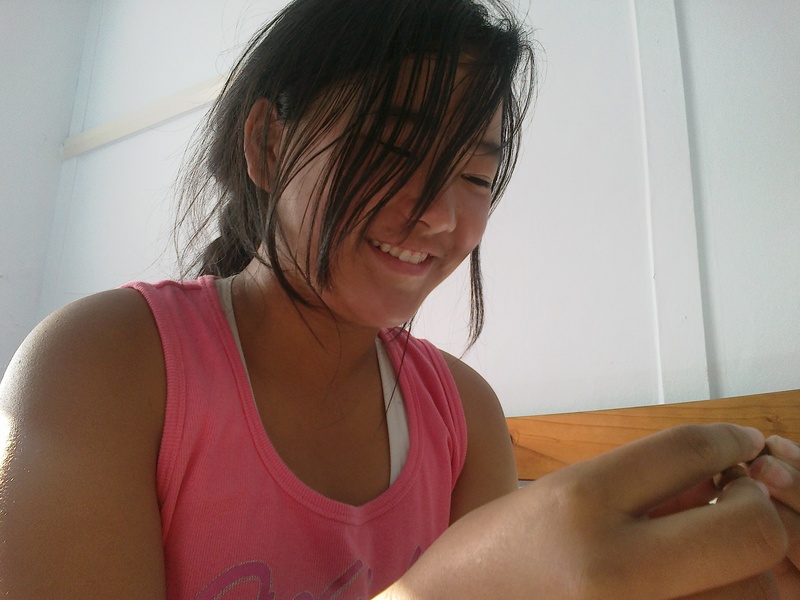 I don’t know, she just started writing a song, we were a bit bored that day during break time. Mele can play guitar and she used to play piano. I play guitar and I sing and write songs, but Mele she’s like – the best singer in the whole school! But she’s not the best singer in her whole family apparently, her family are really good at singing. She has two older sisters. Our song is called ‘Polynesian Ladies’ it’s about love and empowerment. Being stronger and awesome. I’d like to do more singing and songwriting, but with my friends, so that it’s fun. I also like art, mostly drawing. My friends are all awesome, except they can’t really draw. But they’re all really good at sport, athletics, basketball and softball. I like photography, when you’re watching TV you see all these famous people singing and dancing and acting. I sort of, but not really, kind of want to be in there – but only kind of because I don’t want everything to go all psycho. They don’t seem totally happy. I want to travel the world and study overseas, like in Paris! Maybe you’ll get to hear my song, maybe, at the end of the term. I might share my lyrics, but I’ll have to ask Mele too. If you want to write a song, you have to feel like you want to do it – because if you don’t try then you won’t get it, but then if you do try too much you have to have a break at least. Just try and see where it ends up. I listen to all different kinds of music and radio stations. Just not country.